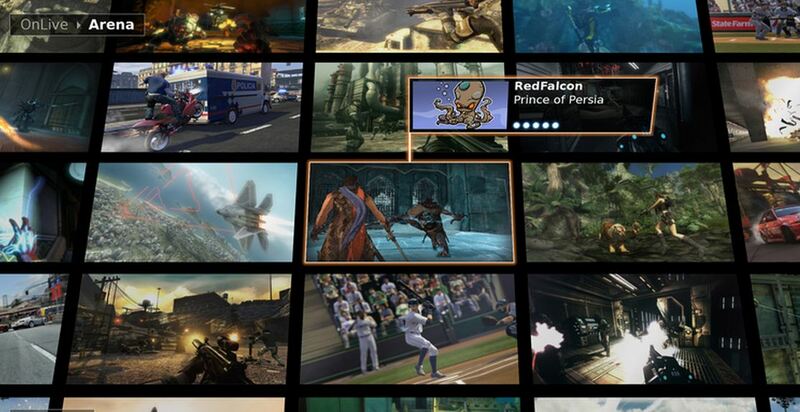 Rumor has it that cloud-based gaming service OnLive is set to shut its doors today. The company, which has gathered $56 million in funding, has had difficulty in finding adoption due to the bandwidth that its service requires users to have available. Their employees are sending out emails that #OnLive will be closed by the end of the day. “We don’t respond to rumors but of course not. What’s probably most interesting to me about the rumor is that OnLive has only just recently signed a partnership with Kickstarter-hero Ouya, which could potentially be a game-changer for the entire industry. One has to wonder then if someone inside of OnLive is disgruntled or if the entire story was nothing more than a slow-day Friday rumor. It’s worth noting that GameFront is claiming a “reliable source” inside the company who says that people are packing boxes even as you read this. The site insinuates that the PR-speak avoids the subject, instead opting to just address whether or not the company is closing down rather than confirming or denying layoffs. At any rate, take it for what it is at this point – just a rumor. Things seem to be going OK for the company, adoption problems aside. We’ll let you know if we hear any more. Update: The rumors appear to be true, but the story is deeper than tweets would allow. OnLive is in much worse shape than just a few employees packing boxes. Confirmed: employees leaving #OnLive headquarters with moving boxes. Am outside now. According to a source close to the company, the failure has been long in the making. OnLive has apparently rejected numerous acquisition offers, unable to overcome the $1 billion+ valuation that it held for its latest round. The company has, in the past few weeks, sold off its brand and IP. It’s also worth noting that not all of the patents belonged to OnLive — much of the technology was licensed via Rearden Labs. Though OnLive will continue, it will not be held by the same company. Investors, we’re told, will be getting back only a fraction of their initial outlay. @bradmccarty I know that, I also did due diligence on the firm at their last round and I know what they own. The layoffs today are only part of a major downfall for the company. We’re told that OnLive CEO Steve Perlman held a tight grip on the operations, as well as the information and potential buyout offers. Any employee equity, we’ve been told, is all but gone due to the nature of the sale. That’s what we have for now. Got any inside information for us? Drop me a line. Anonymity assured.